Heading off on a long awaited holiday abroad or even staying a little closer to home, can be as exciting as those Christmas mornings as a child when you just couldn’t wait to get your hands on the treasures beneath the tree. Holidays are precious—don’t trade valuable beach time or family memories-in-the-making fixing travel arrangements that might have gone awry. Your local ATAS accredited travel agent is your support crew on the road. They can advocate on your behalf for airlines, hotels and tours if something hasn’t gone quite right or if you need to unexpectedly make changes to your itinerary. Let an ATAS accredited travel agent take the stress out of your holiday legwork so you can get back to the important stuff that holidays are made of. No one knows what you want in life better than you! Finding an ATAS accredited travel agent that understands your travel preferences, your favourite style of travelling and, of course, your budget is your secret weapon to planning the perfect vacay. When you use an ATAS travel agent, they become an extension of your inspiration arsenal to help create the perfect experience for you. Whether you’re planning a family holiday, romantic retreat for two or something completely out of your comfort zone, your friendly ATAS travel agent will tailor the perfect itinerary to suit your requirements for the personalised touch. Buyer beware – do you know who you’re dealing with? A duty-of-care should always be taken when making large purchases, and that same rule applies when booking your precious holidays. Like any big-ticket-item, you do need your wits about you when investing in a holiday. Take deep dive online, and it’s easy to find price-points that seem too good to be true—and you know the old adage about those, right? An ATAS accredited travel agent can help you compare apples with apples, make sense of the myriad options, and ensure everything you book is legit, fit for purpose, and will be there when you arrive. Did you know that all ATAS accredited travel agents are subject to a strict Code of Conduct and must adhere with Australian Consumer Law (ACL). This means you can travel confident in the knowledge that the law is on your side, should something go unexpectedly wrong. If you buy direct from a business registered outside of Australia, that same safety net won’t be there to support you. It’s really important to understand who you are booking with and always ensure they are ATAS accredited. Planning a trip for one or two might be a walk in the park, but if you add two or three families into the mix and perhaps multi-country itinerary the headaches can begin. Your ATAS accredited travel agent is the expert in managing multiple itineraries, separate payments and different room configurations and special requests which allows you to avoid those nightmare family arguments. They can help offer experienced guidance on how to manage large group bookings, with advice on the best hotels, activates and transfers to get your group moving and into holiday mode. If your travelling party is extra-large, your ATAS travel agent may have access to special group booking allowances and benefits — luggage allowances, airport check-in, hotel check-in and more — to make your group holiday experience less cumbersome and even better value. The tyranny of distance that afflicts Australia, means that Aussie travellers are well used to long haul flights to reach Europe, North America or other wonderfully exotic places. This also means that reaching some far off (albeit amazing) destinations can require a number of transit points and transport methods. Depending on how you prefer to travel, a 24-hour journey time might not be your thing, and that’s where a one or two-day stop-over can be your savour. Your ATAS accredited travel agent is perfectly placed to weigh up the best flight, transport and stopover options for you, no matter where you’re headed. Be sure to ask about the great value stopover packages offered by a number of airlines in the home cities if you’re travelling through en-route to another destination. Everyone is different and travel agents get that, whereas your search engine might not. Melbourne travel agents know their stuff. 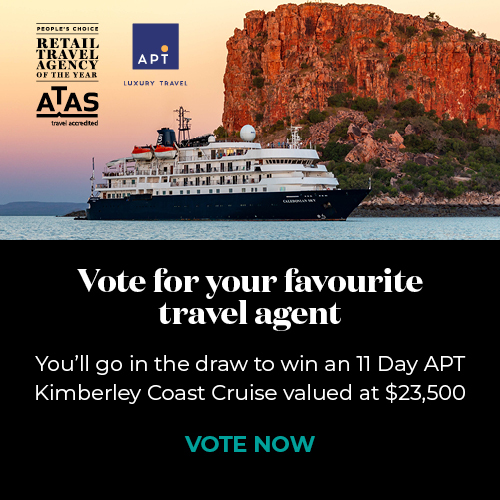 Connect with an ATAS accredited Melbourne travel agent with and you’ll be in good hands. ATAS accreditation is your ticket to peace-of-mind and experience you can trust. Whether you're jetting off around the world on an adventure of a lifetime, or nipping to Melbourne for a cheeky weekend away, an ATAS-accredited Melbourne travel agent has the tools, technology, training and backing to deliver the finest, tailored travel experience anywhere. Becoming an ATAS-accredited travel agent takes dedication and discipline. travel agents who seek ATAS accreditation work through an application process that ensures only the very best travel agents bear the ATAS insignia. Melbourne travel agents who receive their ATAS accreditation conduct business in strict compliance with Australian Consumer Law and in accordance with the ATAS Charter and Code of Conduct. Melbourne is one of the world's great places. Regularly named the world's most liveable city, it's also a brilliant place to visit. For decades now, Melbourne has evolved and developed wonderful neighbourhoods, precincts, galleries, festivals and, of course, some of the country's (and world's) most significant sporting and creative events. No matter what time of year you visit, you'll be sure to find a buzz about the place. Explore the rejuvenated hidden laneways of the CBD, wander along the Yarra—now proudly celebrated and embraced by locals, dive into Melbourne's legendary nightlife renowned Italian neighbourhoods for lively (and delicious) dining experiences, or head for suburbs like St Kilda beside Port Phillip Bay and you'll find yourself enjoying some of the world's best urban travel experiences. Explore the hidden works of graffiti art scattered around Melbourne. Photo of Drewery Lane, Melbourne. But with so much to see and do (and eat), where should you start when planning your visit to Melbourne? An ATAS accredited Melbourne Travel Agent will be a terrific source of local knowledge, insights and expert guidance. Walkable and blessed with excellent public transport, Melbourne is a fabulous place to visit. But it is also delightfully diverse, with emerging neighbourhoods and areas of exciting urban renewal. It changes and evolves at a cracking pace, something a Melbourne Travel Agent will have an intimate awareness of. Local knowledge is a precious asset when visiting cities that can seem huge and overwhelming. Let a Melbourne Travel Agent listen to your plans, process your needs and wish-list, advise and recommend, and tailor your visit just for you. A Melbourne Travel Agent can help with booking attractions and day trips, or the whole shebang. Melbourne's once inhospitable laneways are now part of a remarkably colourful and vibrant urban fabric that ties the city CBD together. Wander amongst them on a real walk of discovery, and you'll stumble on speak-easys, barely visible bars, and a gallery of street art as rich as you'll find anywhere. If that's your things, collaborate with your ATAS accredited Melbourne Travel Agent and find the perfect plays to stay just steps from nooks like Centre Place, Degraves Street, Duckboard Place, Hosier Lane, Blender Land and Liverpool Street. Ask you Melbourne Travel Agent for their favourite Melbourne laneways, pack your comfortable shoes and sense of adventure, and you'll be in for an extraordinary multi-sensory urban expedition. Once derided as little more than a muddy urban waterway of little note, Melbourne's Yarra River is now a focal point for the city's locals and visitors alike. Accessed easily from many points in the city, the Yarra is a watery spine beside which much of Melbourne's daily life unfolds. Explore the shaded parkways that run beside it, or take a seat at cool riverside hangouts tucked beneath the grand bluestone railway arches, or hit the fine-diners nightlife of Southbank, South Wharf and the Crown entertainment precinct. A Melbourne Travel Agent will have the local insights, expert guidance, tools and technology at their fingertips to piece together your perfect Melbourne getaway no matter where you're coming from. Melbourne is considered by many to the Australia's arts and cultural capital. With a thriving gallery, theatre and festival scene, it's hard to argue with that notion. Head to Melbourne and its wonderful East End Theatre District that regularly hosts world-class stage and musical productions. Across town in the Southbank precinct, you'll find The Arts Centre, MTC, Malthouse, Recital Centre and the National Gallery of Victoria. And at Federation Square, art meets architecture and open space in a truly striking blend that is uniquely Melbourne. Your favourite ATAS accredited Melbourne Travel Agent can help you plan the perfect trip to satisfy even the most discerning culture vulture. More than a one-trick pony. Giddy up! Sports-mad Melbourne is home to an astonishing array of world-class venues, stadia and events of global significance. A standard sporting year in Melbourne would be a remarkable one just about anywhere else. There's a roll-call of events here that is the envy of cities, not just in Australia, but around the world. Visit in January to experience the Australian Open tennis—one of the world's four pre-eminent tournaments. And with teams in all four major football codes based in Melbourne, you'll not struggle for a spot of boisterous barracking in Melbourne. Golf and cricket feature on Melbourne's sporting calendar, too—the city's iconic Boxing Day Test Match is on bucket-lists the world over. Be sure to contact a Melbourne Travel Agent to book your seats, travel and overnight accommodation. Howzat! If high-octane motorsport is more your thing, Melbourne has it in spades—Supercars, Formula One and MotoGP motorcycle racing at Phillip Island all take their positions on the starting grid here each year. Then the Spring Carnival comes around with a more traditional type of horsepower and a race that, as they say, stops the nation—The Melbourne Cup. Melbourne truly swells with visitors as these mega-events come to town. An ATAS-accredited Melbourne Travel Agent can give you the inside running on the ideal way to visit at peak times like these. Melbourne's landmark sporting events are a massive drawcard, attracting visitors from all around the world. ATAS accredited travel agents have access to fabulous sporting travel packages that include flights, ground transport, accommodation, event tickets and additional perks to suit just about any budget. Be sure to contact a Melbourne Travel Agent to discuss your Grand Final, Grand Slam or Grand Prix plans. Melbourne is a fabulous gateway to some divine travel experiences just a short drive away. Why not combine a city-stay with a regional getaway? Take off in a rental car and explore the country, coastal and alpine roads that lead to wonderful corners of Victoria like Geelong, Phillip Island, the wineries and Yarra Valley and the tranquillity of the Dandenong Ranges. Head east around Port Phillip Bay to the magnificent Mornington Peninsula, or out into Victoria's High Country, the Goldfields and beyond. Penguin Parade viewing platform at Phillip Island. Whether you're planning a weekend away to see a stage production or your favourite AFL run out onto the MCG, your ATAS accredited Melbourne Travel Agent has the local knowledge, insights and expert guidance to get you there. You'll travel with the confidence that comes from having an agent in your corner, too.